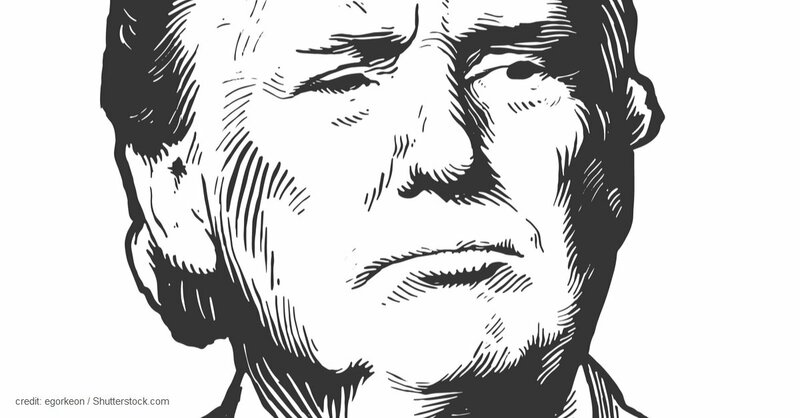 Home » Blog » Going Digital » NDA » Could Trump have avoided the Stormy Daniels scandal with a better NDA process? Before I answer that question, let me first state that this post has no political affiliations. I’m simply going to look at the subject of how the Non-Disclosure Agreement (NDA) could have been more effectively executed purely from the perspective of process, controls, and automation. I will attempt to make light of the subject a bit to use it as a learning aid for businesses trying to protect Intellectual Property and Proprietary methods that are critical to their business success. However, just to be very clear, I simply do not support the use of NDAs to hide truth especially for political reasons. At the same time, I also do not support people breaking agreements willy nilly. Having said that let’s answer our original question. I hypothesize that if the Trump team could have used AST’s AdaptiveNDA system then at least the NDA side of the scandal could have played out very differently. To confirm my hypothesis, I decided to do a hypothetical simulation of a possible scenario and looked at how the execution of the NDA would have been handled using a smart NDA management using a system called AdaptiveNDA. To setup our simulation, I connected to the cloud based AdaptiveNDA and setup the “Hush NDA” contract type. You can skip to the more titillating “Running Simulation” section if you are not interested in the system set-up details. For the new comers to Adaptive NDA, a “Contract Type” tells the system about the nature of contract, how it is to be reviewed, and what kind of details are pertinent to tracking and generating the agreement. It is a one time step so that the same contract form can be used multiple times in the future. I used the “Fast-Track” contract review process so that a pre-defined and pre-approved contract form is used. The form is an MS Word Document that has been prepared by lawyers with blank spaces/place holders for information, such as the other party’s name and address, that can change from contract to contract and will be auto-filled by the system. I also specified that a question will be asked of the requester to specify the agreed upon amount for the “Hush Money. As this is critical stuff, I selected “Track Critical” for expiration tracking. As a final step to getting the simulation ready, I created logins for the legal team including the hypothetical lawyer named Cohen. 2. At this point, AdaptiveNDA sends an email to the other party (Stormy) with a request for her legal details. The system provides an encyrypted and secure link t a form where she can provide the answers. 3. The AdaptiveNDA system generates the contract by embedding pertinent details in the document automatically. It now sends an email back to her to review and sign the contract. 4. Stormy uses the link to view the contract and forwards it to her Attorney. 6. 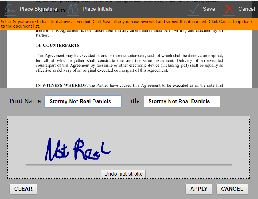 AdaptiveNDA notifies her lawyer who provides changes to the agreement by downloading the MS Word version and then uploading the red-lined version. 7. AdaptiveNDA now notifies Cohen to review suggested changes. 8. Cohen, as Trump’s attorney, accepts the changes. 9. Stormy’s attorney is notified by AdaptiveNDA, reviews the agreement and sends it back to Stormy. She clicks the link to view and then e-signs the contract. 8. AdaptiveNDA then notifies Trump, who pauses mid-tweet to e-sign the contract on his phone. 9. AdaptiveNDA then sends out an email notifying all parties of the executed agreement, including the attorneys, which contains a PDF of the signed agreement. So, as you can see, by utilizing AdaptiveNDA, the NDA Request, Generation, Modification, Negotiation, and Signature process is all managed within one system. In addition, the system ensures transparency and control while still keeping the agreements confidential and out of the prying eyes of others in the company. Let me leave it to you to decide whether AdaptiveNDA could have prevented or changed the Stormy Daniels scandal that we are witnessing today. However, what matters more is whether businesses, especially the ones where Intellectual Property, Proprietary Technologies and Methods are prized, can be assisted and protected by AdaptiveNDA technology. For our customers, that’s been a resounding Yes.